Dinas Oleu Walk at Barmouth/Abermaw01341 440238work Walking RouteThe Dinas Oleu Walk takes you from Barmouth town centre through the steep narrow winding streets of the Old Town and up to the top of the gorse-covered hill, known as Dinas Oleu (Citadel of Light). 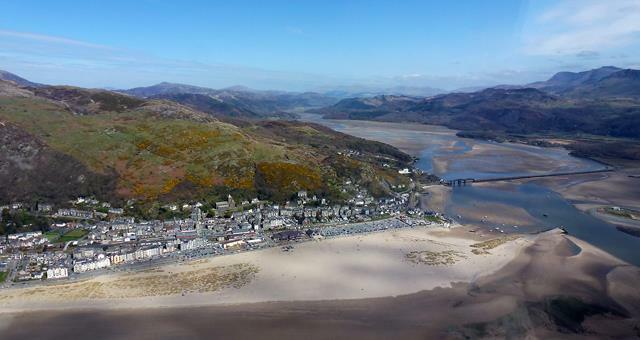 The Dinas Oleu Walk takes you from Barmouth town centre through the steep narrow winding streets of the Old Town and up to the top of the gorse-covered hill, known as Dinas Oleu (Citadel of Light). 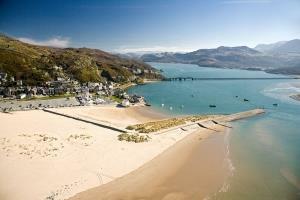 As you make your way upwards, dramatic views over the Mawddach Estuary and Cardigan Bay - stretching towards the Llyn Peninsula - unfold. The walk is rich in history and you will explore the first area of land donated to the National Trust in 1895 by Mrs Fanny Talbot.